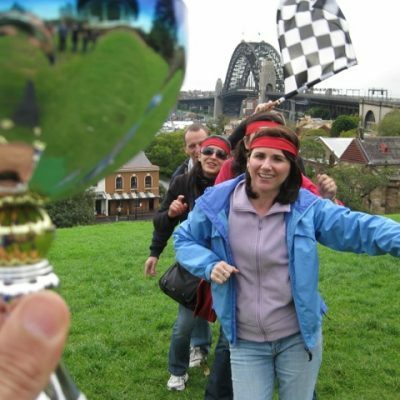 Wollongong Team Building activities are developed for staff, employees, corporate groups and conferences the ultimate challenge activities package is Amazing Races. Exploring Wollongong’s clean beaches from the Novotel Stuart Park sky-dive drop zone to Flagstaff lighthouse and WIN stadium. You’ll find yourself competing along spectacular shorelines in a fun mix of team games, puzzles, relays, sports, brain teasers, skills and minute to win it games glory for all staff to enjoy. Head to Wollongong for conference team building activities and social group outings – get ready for fun and action. For starters we visit The Sugar Cube for an eating challenge with decadent Chocolate Belgian Waffles! Amazing Races was established in 2005. We are now celebrating 12 years with excellent free offers and stunning Photography packages. Providing exceptional corporate team building activities and team bonding for development of your staff. As well as terrific fun social group competitions. Launched directly from The Novotel Wollongong or Stuart Park next to Beach Skydiving. Ideal for local businesses and conference events for groups. Amazing Races are brilliant ways to connect with other staff on a Corporate Group retreat or with your Social Friends, competing to win! Enjoy a series of fun tasks, challenges, activities and a great event around Wollongong Beaches, Wollongong CBD, Flagstaff Point and surrounds. Teams navigate to, register and complete a fun tasks, challenges and activities at professionally hosted checkpoints. Corporate event Amazing Races allow groups to collaborate, increase cooperation and integrate teams. Conducted by a professional team of staff who love challenging people to succeed and reach their full potential. We will design and deliver an exceptionally fun experience for corporate and social groups. Our events are tailored to suit all venues and locations across the Wollongong area. Effectively improving your group’s communication skills and develop team camaraderie. Further benefit from increased interpersonal relationships through a series of unique activities. Our events and races are custom built to your timing, fitness, skill and fun level. Ideal for all groups including: Corporate groups, team building, social activities. Special events, family groups, team building, hens groups and hens parties. Birthday parties, celebrations and Christmas functions. 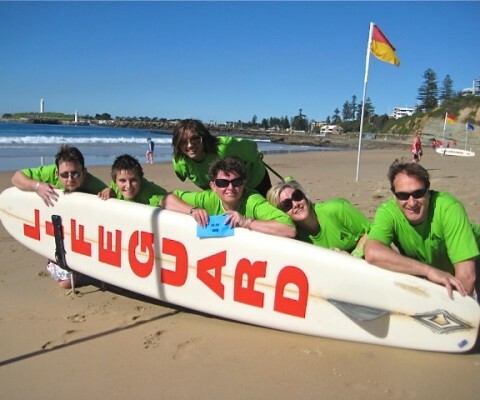 Race Activities around Wollongong with Unlimited Activities and Corporate Challenges. Unique designed corporate or social Wollongong Amazing Race event specific to your particular interests, skills, timing, weather. All transport & travel arrangements can be made for you or integrated into the event. Contestants aim to arrive first and accomplish challenges to win the coveted Wollongong Amazing Race Trophy! There is no elimination to worry about! Route envelopes are provided on each leg of the Race, which leads teams to their next destination to perform fun activities, adventures, tasks or to test your skills. Just like the CBS AMAZING RACE hit television show. Planes, trucks, bicycles, taxi cabs, sports cars, trams, trains, buses. On water we include dragon boats, yachts, boats, ferry, kayaks. 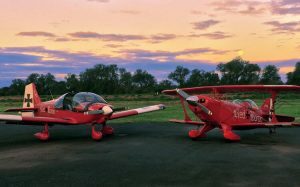 In the air we have utilised helicopters, aerobatic planes and sky diving experiences. Back on terra firma we glide by on segways, scooters, motor bikes, roller blades, skate boards. For the talented we include horses, chariots, rafts, rickshaws, zip line flying foxes, ultra lights, wing suits, free dives, hang gliding, glider, stunt and aerobatic planes, golf buggies, quad bikes, para sail, paragliding, scuba diving, kite boarding, submarines, ice skates or just walking by foot. Our challenges are designed to bring you the best flavours, sights and unique activities to Wollongong city, region or urban area from the top of Mt Keira to the Dapto Dog Races. Incorporating local venues, foods, activities and culture. Simply awesome fun fast format – Activities, Roadblock/Intersection, Activities with some unique beach locations. Envelopes, Mats, Flags, Registrations great interactive Challenges – in the immediate area with 2km radius of Wollomgong’s beaches and main cbd area. 3. 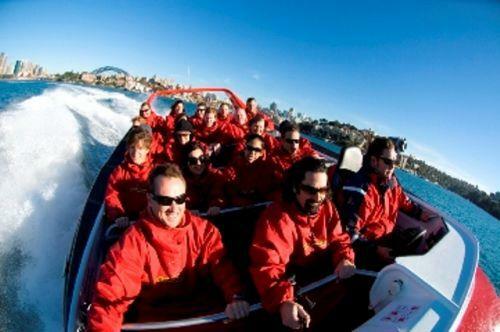 TEAM SENSATION 2.5-3.5hrs – Wollongong’s most popular team building and corporate activities success story. Thrill staff facilitating and running exciting fun activities, has all the features. Includes sand Sculpting, Life Savers rescue, Belgium Chocolates and Beach Volley Ball activities!! 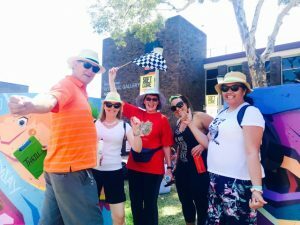 Unique combinations of amazing race activities linking Sydney to Wollongong Establishments. Transport can be in own vehicles or our mini buses and Hummers. Discover to Port Kembla, Mt Ousley, Kiama, The Royal National Park and Stanwell Tops. or Jamberoo, Berry and Kangaroo Valley. Race along the Scenic Coastal Ocean Drive. 5. Thrill WOW FACTOR races 2-6hrs. More wow factor fun including amazing South Coast experiences like Sling Shot Shooting, Surfing, Raft Building, Sky Diving The Beach. Imagine your friends and colleagues taking the plunge out of the plane or underwater. Ask us what would make the experience of a lifetime memorable and we will create your most amazing activity profile to match your budget. * Amazing winners Trophy personally engraved. 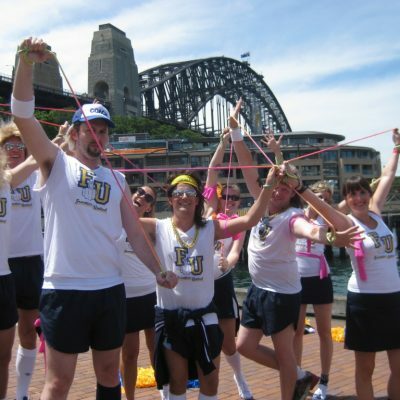 When is your next Wollongong or Sydney Amazing Race Corporate Event? Call 02 9630 2222 to Enquire and get a free Quote now! News: Amazing Races has teamed up with THRILL premier team building activities specialists. Staying at the Sage or Novotel Hotels. Looking for the best evening entertainment for corporate groups. As well as alternative Team Building and Corporate Entertainment Events. Discuss your Novotel corporate conference escape event ideas with THRILL! 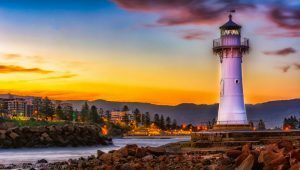 Loving Wollongong – Explore and escape from the Novotel conference room onto the beaches and lighthouse at Flagstaff Point. Creating a great selection of team building activities to play and learn.